Firstly, it is important to understand what is bond cleaning? A bond cleaning is a cleaning required by law in order for you to be able to assess the bond deposit you paid when first moving into the property. A bond cleaning is also called an exit cleaning. It is a comprehensive cleaning carried out when you are moving out of a leased or rented property. The purpose of a bond clean is to restore the house to the original condition when you first moved in. Bond cleaning in Australia is backed by law, it is a contractual agreement between you and the estate agent where you are expected to have restored the property to its original condition when you first moved in of course it allows for depreciation, and when the real estate is satisfied the bond deposit you paid when you first moved into the property would be refunded to you. It is stressful enough moving enough moving out and of course getting back your bond payment which in most cases is usually up to four weeks of your rent can provide a vital buffer to your new piece of property acquired or even help in purchasing. 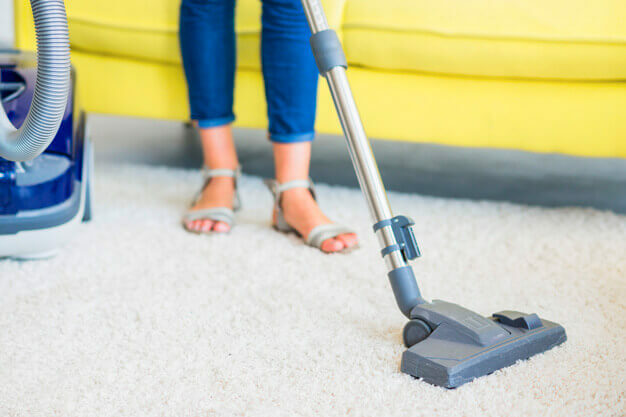 No one wants to go through the tiresome process of performing an exit cleaning, scrubbing tiles, and washing floors in a property which is no longer their home. But without executing this burdensome task, you may not get your bond refund, and in most case some landlords may not want to payback a full refund so having ample knowledge on how to do a bond clean would go a long way your rental bond return. You may be wondering the best way to go on how to do a bond clean, here are some bond clean tips on how to go about your exit bond cleaning thereby salvaging your rental bond refund from your landlord. Move in inspection; find the report on the condition of the property provided to you when you first moved into the property. This would help you assess the condition the property is in now with what the condition of the property was when you moved in. When moving in it is important that you assess the condition of the property and if you have any complaints with any aspect of the house take a picture and report to the estate manager or landlord. This would serve as evidence in the event that you may want to be exploited against getting your bond back. Be honest about what counts as damage; of course there would be room for wear and tear, it’s only fair. But be honest about what counts as damage and what a genuine wear and tear is. Speaking directly to your estate manager or landlord about any of the damage can also help mitigate issues and if your landlord insists on a replacement, then you may want to keep it in mind to go for a repair, which is usually the next step and backed up by the tenancy regulation. Fix and clean the light fittings and fixtures; the light fittings and fixtures are most often always neglected during bond cleaning. A best bond cleaning would involve you paying close attention to the fans, lighting, plugs, switches, door handles are all in good condition and in the event of damage replaced or repaired with the correct products. Clean the windows; cleaning the windows is a simple bond clean measure that provides that fresh look to the property and it is definitely one way of getting your bond back. Be careful to remove smudge marks, gunk, fingerprint marks. Also pay attention to scrubbing and washing the frames and the sills. Clean the wall; cleaning the wall is a cheap bond cleaning technique that enhances the general look of the property. And this is highly recommend as it leaves the wall looking fresh and sparkling and is a definite bond refund technique you should have up your sleeve. Clean the kitchen; the kitchen should be cleaned during bond cleaning, start first with the ovens because the ovens are notorious for being messy and your estate manage is definitely going to be checking there. Then proceed to cleaning the range hoods, then cupboards, once those are dealt with, tackle he sinks. These are all places your landlord is definitely going to check so you want it sparkling as it is definitely a bond clean requirement. Clean the bathroom; here you have your work cut out for you, if you have not been cleaning the bathroom frequently during your stay. You have to ensure no strand of her anywhere in the bathroom, next is to tackle the sinks and toilet, check shower screen for soap scums and thoroughly clean. Leave it to the professionals; if doing all these sounds herculean and scary, engage our services. Our bond cleaners are locales in Adelaide understand what the landlords want and provide optimum services to meet that want. So, if you are in need of the best bond cleaning services that guarantees bond back refund in Australia, we offer professional bond cleaning service and bond cleaning prices are affordable. Lastly, attend the final inspection yourself, when your landlord comes to inspect the property, endeavor to be there yourself, so that issues that may arise and be swiftly resolved. Also ensure that you understand the bond refund process so as to avoid muddy waters and tricky situations.